The minimum down payment will remain 5% for any real estate purchase up to $500,000. Once you are over $500,000, the downpayment must be 10%, but only on the amount exceeding $500,000. For example: If you are purchasing a home for $800,000, you'll need 5% for the first $500,000 and 10% on the remaining $300,000 making the minimum down payment on this purchase $55,000. You will still be able to purchase a home up to $1,000,000 with 5% down until February 15th. Purchases over $1,000,000 still require 20% down. There is no doubt that the location of your house will determine it's market value for TAX ESTIMATION, the only EXCEPTION is that it also depends upon who is looking at the value of your home! This house sale caught my eye, if the square footage calculations are correct, the value for this slice of New York is $2753 per square foot. Average price for a 3 bedroom 1900 sqft home in Mississauga is about $400,000 or about $210 per square foot. Wow, that means it's 10 times more expensive to live in New York! The sale of 75 1/2 Bedford Street, NYC's skinniest house, has made it to public record. The nine-and-half-foot-wide house of indeterminate mid-1800s construction date was asking $2.75 million when it hit the market at the end of August, and it saw one chop to $2.499 million before it found a buyer. That buyer's identifying information is sadly obscured behind a corporation (with, clue, a P.O. Box in South Florida), but we do at least now know the 999-square-foot property's final sales price : $2.175 million. Thinking of Selling? | Best Mortgage Rates | Current Home Prices | Search MLS | NewsletterRE/MAX Realty Specialists Inc.
to view and read about. Nature is amazing! open, unless you want to save it. The file is 1,5 M large, but worthy of downloading because the photos are truly stunningly beautiful! How about those Jays and their win today? It was so exciting to see them win the 5th game today against the Royals, let's hope they can continue! Once again, last month was another very strong month for sales and prices in the GTA. The Bank of Canada is cutting its key interest rate for the second time this year, citing a larger-than-expected first half contraction and a “puzzling” stall in non-energy exports. The central bank lowered its benchmark overnight rate by a quarter percentage-point Wednesday to 0.5 per cent, blaming faltering global growth, disinflation and low prices for oil and other commodities. Only 1 percent of homes across the country — including condos, semis and detached homes — sell for $1 million or more. Only 2 percent of detached homes across the country sell for $1 million or more — and the vast majority, 83 percent, sell for under $500,000. Only 3 percent of homes in Ontario — the province with the largest share of million-dollar homes — sell for $1 million or more. Even in Metro Vancouver, a city where buying real estate has been compared to gold hoarding, nearly 70 percent of all sales clock in below $800,000. That is: The average detached home may now run you $1.4 million, but most people are buying townhouses, which average between $300,000 and $800,000, or condos, which tend to fetch between $200,000 and $600,000. Read the entire article at this page: million-dollar homes are not the new normal. I was reading about real estate prices and comparisons between Toronto and Vancouver. Suddenly, Toronto rose quicker than Vancouver last month. Detached home prices were up 14.4 percent in Vancouver West to $2,554,900. The Toronto Real Estate Board released its latest figures for the Toronto and GTA real estate marketplace. 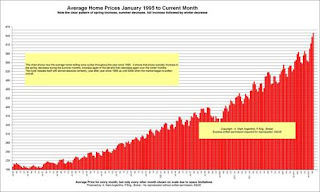 Read more about average prices and read the TREB full price and data report below. June 3, 2015 -- Toronto Real Estate Board President Paul Etherington announced 11,706 sales reported by Greater Toronto REALTORS® in May 2015. This result was up by 6.3 per cent in comparison to 11,013 sales reported in May 2014. For the TREB market area as a whole, sales were up for all major housing types. However, in the City of Toronto, where the supply of low-rise listings has been constrained, sales were down for detached homes. “During my tenure as TREB President over the past year, it is clear to me that ownership housing remains top of mind as a quality long-term investment for GTA households. This is why, despite a shortage of listings in some market segments, we experienced a record number of sales reported through TREB’s MLS® System for the month of May,” said Mr. Etherington. Record May transactions, coupled with a dip in the number of homes available for sale, resulted in strong price growth. The MLS® Home Price Index (HPI) Composite Benchmark was up by 8.9 per cent year over year in May. The MLS® HPI uses benchmark homes to estimate price growth. This allows for an “apples to apples” comparison of price growth that is not affected by changes in the mix of sales activity. The average selling price for all home types combined in May 2015 was up by 11 per cent annually to $649,599. The higher annual rate of average price growth compared to the MLS® HPI Composite Benchmark points to the fact that the proportion of high-end home sales continued to be greater compared to 2014. “Tight market conditions, especially for singles, semis and town homes in the GTA, have resulted in strong price growth regardless of the price metric being considered. With no relief so far on the listings front, expect similar rates of price growth as we move through the remainder of 2015. At this point, a number of months where listings growth outstrips sales growth would be required to satisfy pent-up demand,” said Jason Mercer, TREB’s Director of Market Analysis. Good morning from Beautiful Mississauga! This announcement of no change in the rate was expected by many economists. Mortgage rates should remain where they are now, pending Bond Yield updates in the next weeks. We just experienced another record setting month on the Toronto Real Estate Board for residential real estate sales. The number of sales was 11,303, 17% higher than same month last year. Average prices are also at all time highs. TORONTO, May 5, 2015 – Toronto Real Estate Board President Paul Etherington announced that Greater Toronto Area REALTORS® reported 11,303 sales in April 2015. This was the highest sales result on record for the month of April and represented a 17 per cent increase in comparison to April 2014. While sales increased strongly on a year-over-year basis, new listings were up over the same period by a more moderate five per cent. “The record April result clearly points to the fact that a growing number of GTA households view ownership housing as a high quality, long-term investment. This is evidenced by the strong sales growth we have experienced in Toronto and surrounding regions for all major home types. First time buyers and existing homeowners remain very active in today’s market,” said Mr. Etherington. The overall average selling price, which accounts for all homes reported sold by GTA REALTORS® in April 2015, was up by 10 per cent year-over-year to $635,932. The MLS® Home Price Index (HPI) Composite Benchmark, which estimates the price of a benchmark home with the same attributes from one period to the next, was up by 8.4 per cent over the same period. The fact that average price growth outpaced growth for the MLS® HPI Composite Benchmark, suggests that a greater share of higher-end homes changed hands this year compared to last. Irrespective of the indicator used, price growth in the GTA was strongest for low-rise home types. However, the better supplied condominium apartment segment also remained healthy with price growth above the rate of inflation. “Demand for ownership housing was very high relative to the number of homes available for sale in April. This situation is not expected to change markedly as we move through the remainder of 2015. Until we experience a sustained period in which listings grow at a faster pace than sales, annual rates of home price growth will remain strong,” said Jason Mercer, TREB’s Director of Market Analysis.